A great night in the perfect place! 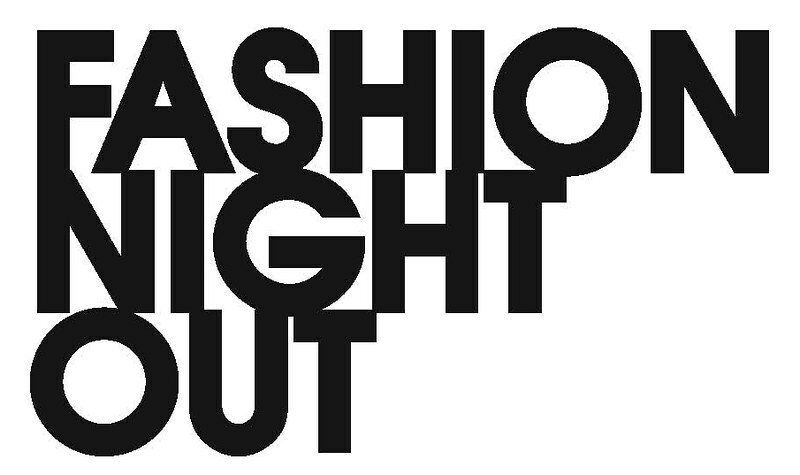 Fabulous people, drinks, music, clothing and of course shoes!!! 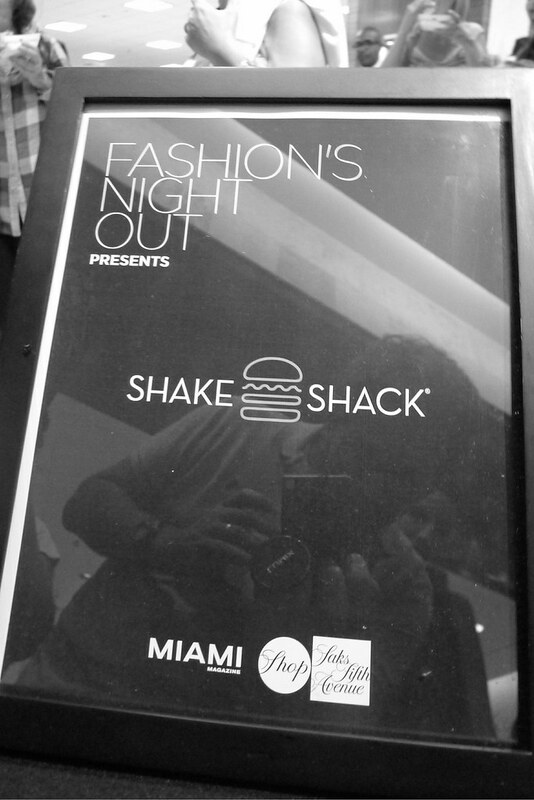 Thanks to Saks at Bal Harbour Shops to invite me a such a fabulous night for Fashion Night Out, always is a pleasure to be in a fashionable soiree with a purpose. 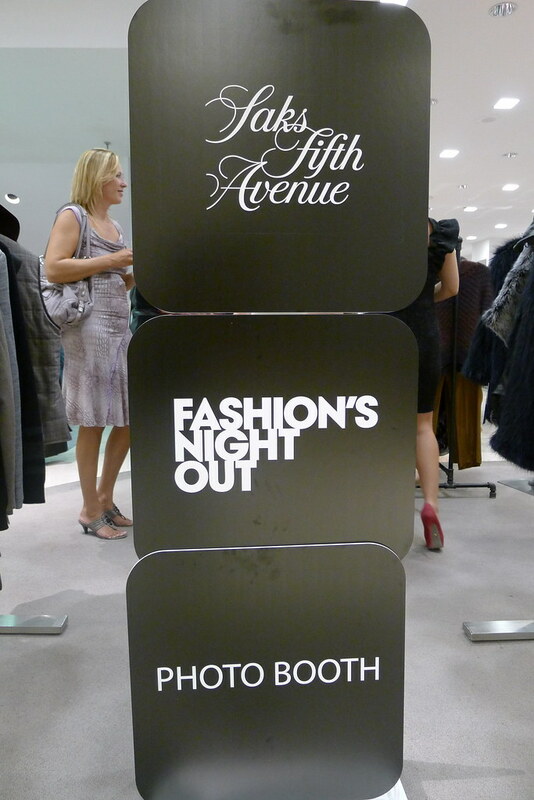 Enjoy the photos and I hope everyone had an incredible Fashion Night Out Worldwilde...like me!!! 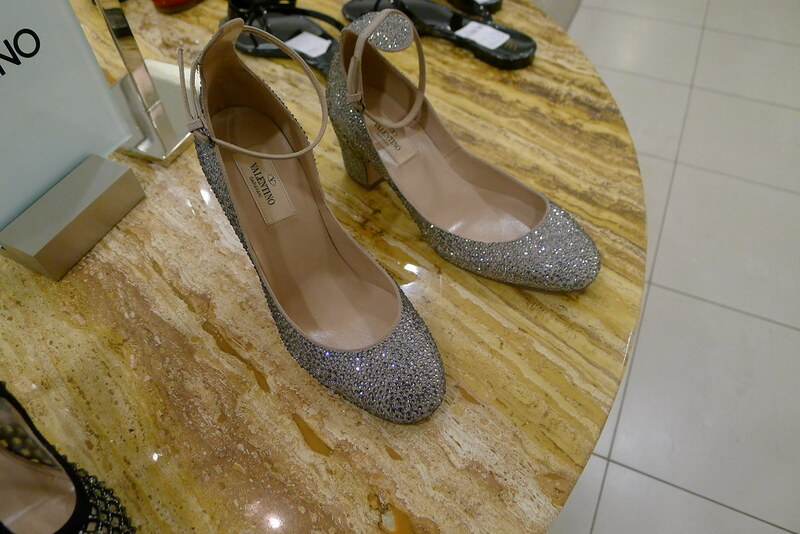 To die to have one day a pair of Valentino's shoes... and you? 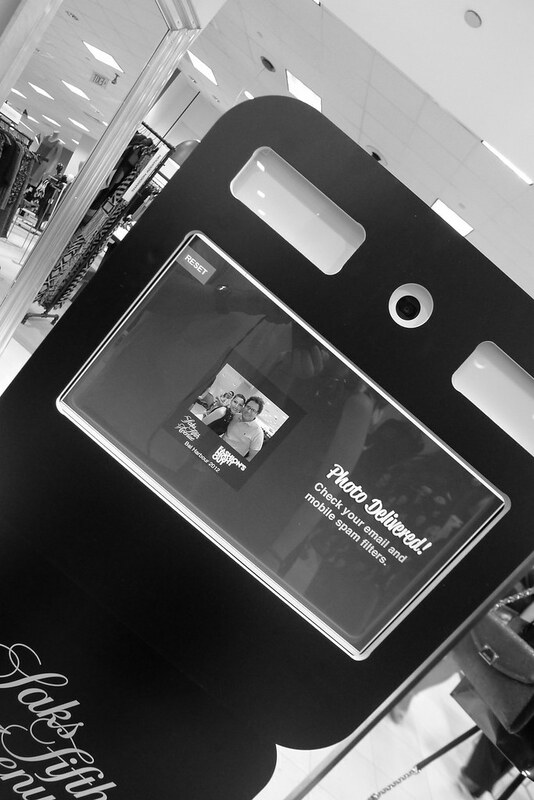 Great idea to share your photos in a fashionable way...thanks to Photo Booth. 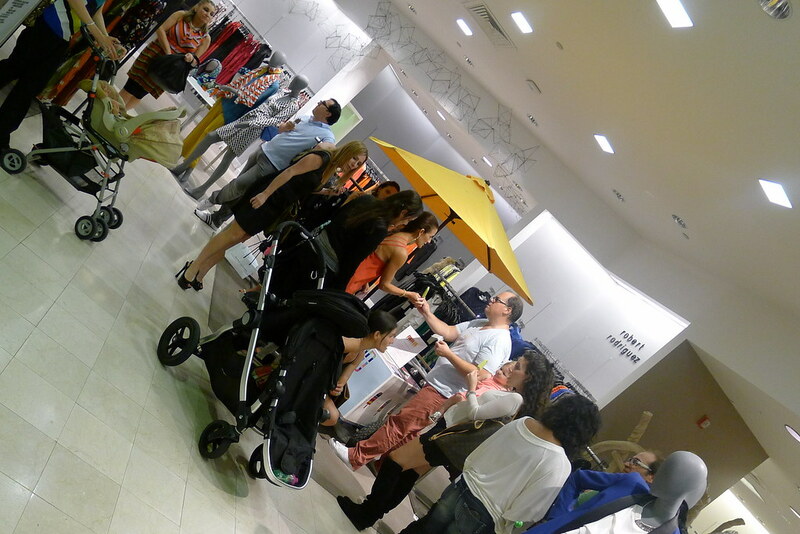 Even ice cream where at Saks! mmm yummy! With the lovely and super stylish blogger Simonett ...... by the way you look gorgeous darling! Delicious bites from Shake Shack. Having fun with a stylish attitude! Why not? And thank you for my gift....love it! 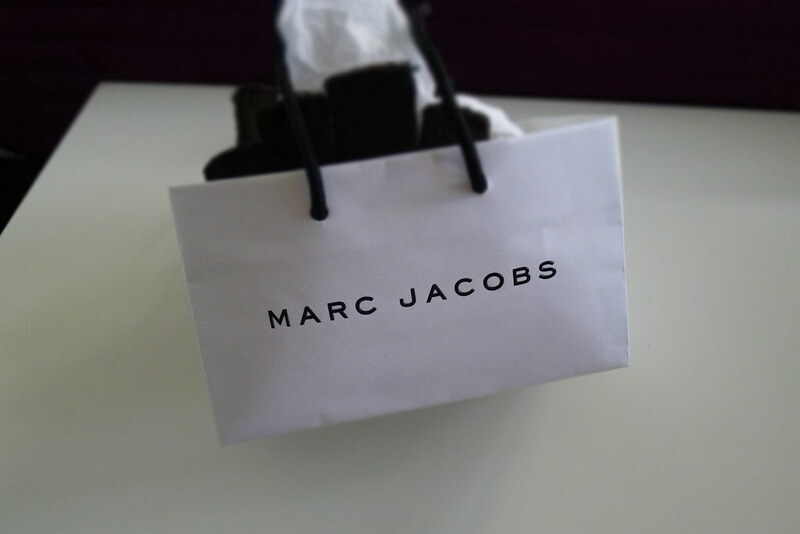 Always is a fantastique experience to see Marc Jacobs boutique. I love the new Fall/Winter Collection...great fabrics and new lines...It's perfect for me! 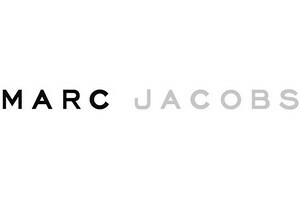 And the best thing to be at Marc Jacobs' Boutique yesterday night was Dana Dileo, Marc Jacobs Sales Associate.... She is unique, with a friendly smile and great style...and with the best dress...of course a Marc Jacobs dress. Thank you for being you and so kind with me! You look awesome! Amazing details...love the fabric and the structure of this dress. 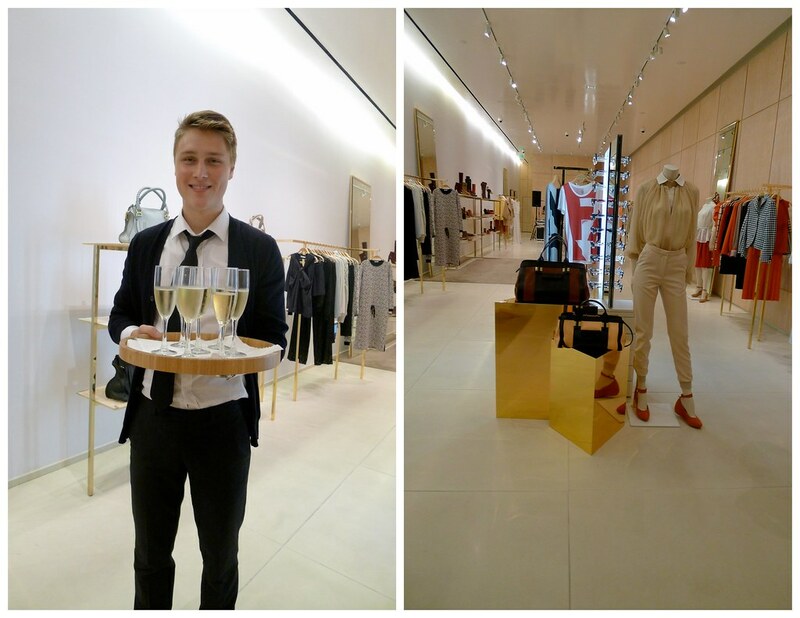 Last stop of the night...Chloe Boutique! 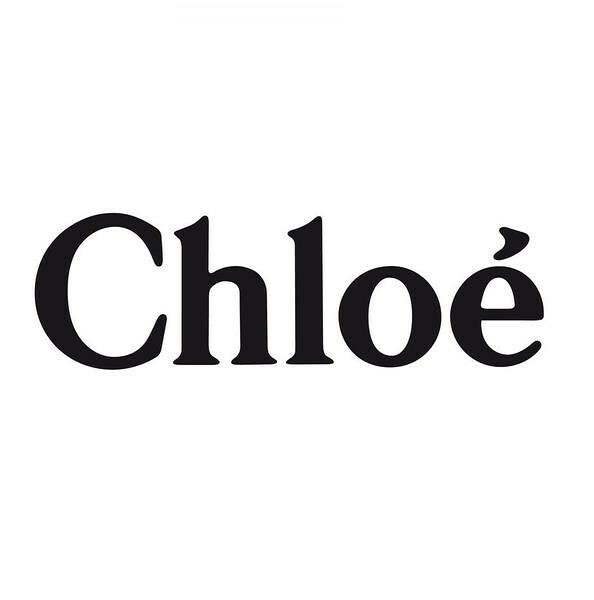 Love Chloe...you know me....it has the best bags in the world. 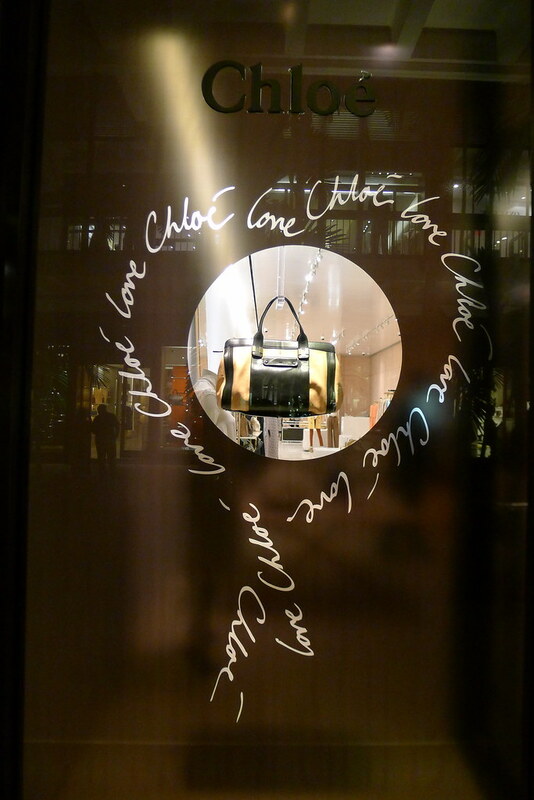 And this night was perfect because it was a night to celebrate the launch of Chloe's iconic new "Alice" handbag. 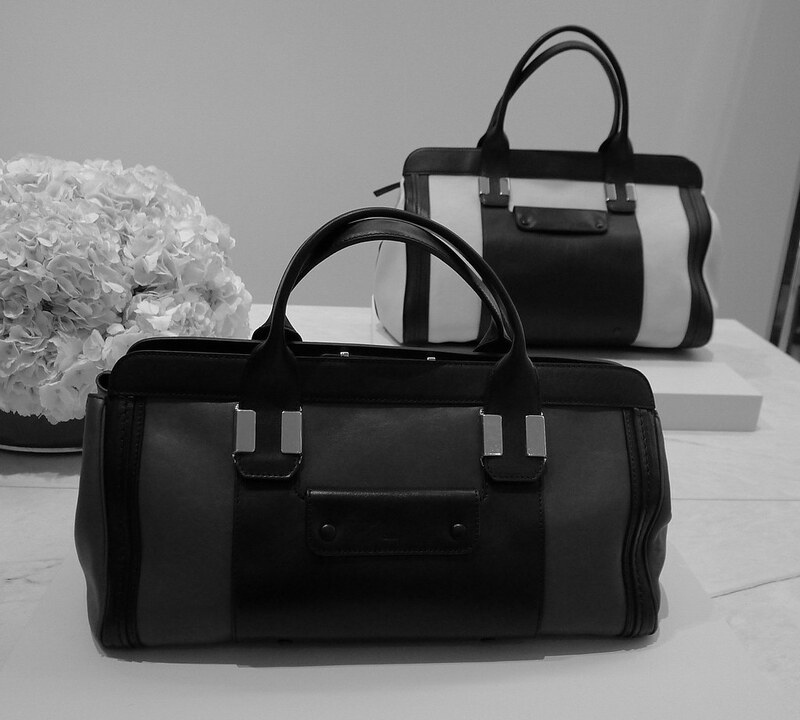 A perfect handbag for the upcoming season. 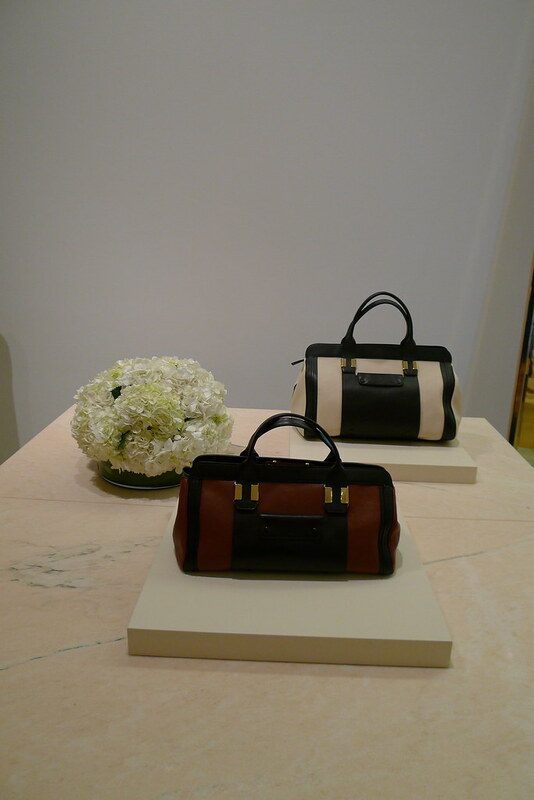 It's a two-tone handbag inspired by the 1970s comes in soft, supple fine materials including python and rawhide. more autumnal colors (hot chocolate, fir green, and black). 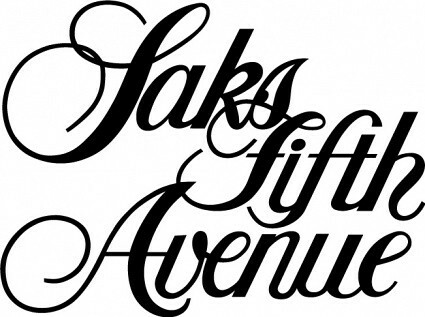 So, now you know where to buy your next handbag! 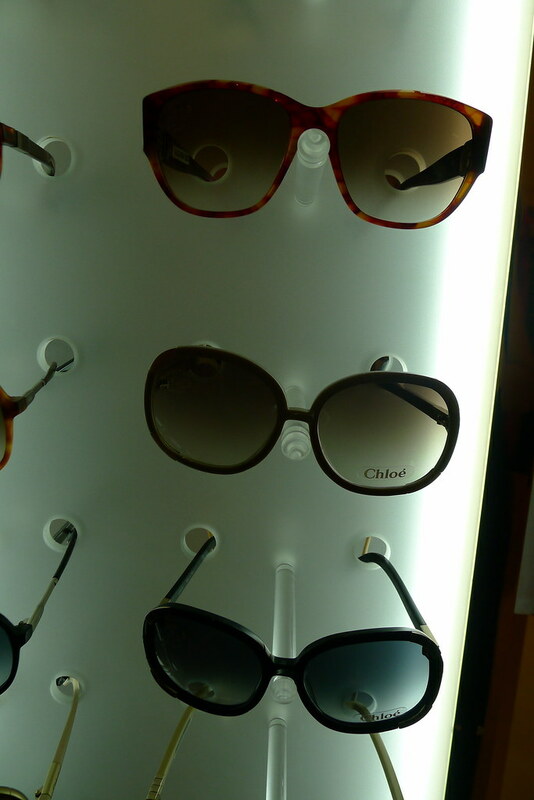 Chloe is always trendy and classic! We had the best Champagne of the night with a chic and elegant atmosphere. Me and Jose Manrique, Boutique Manager of Chloe....love him, he has a great sense of fashion , effortless style and very "simpatico"! I saw my next pair of sunglasses.... I need another one for my collection, now in a cream color! 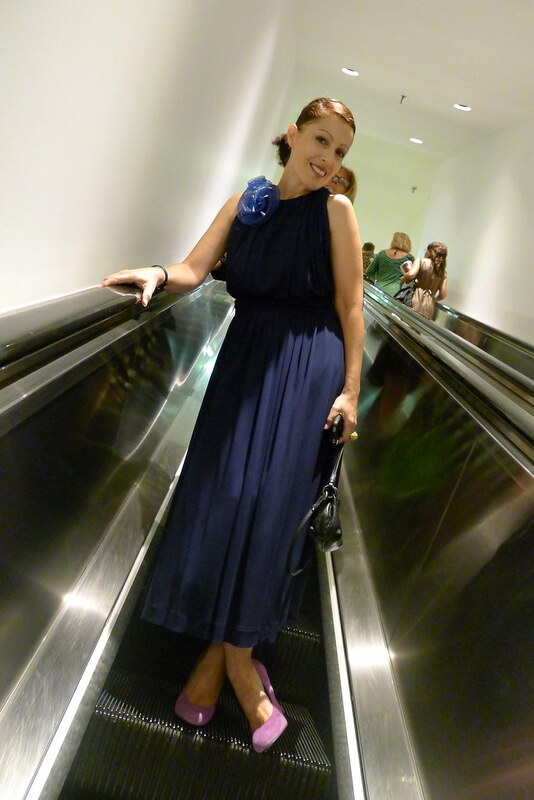 I was wearing a fabulous Blue Dress by Chloe, my signatures Spike Flower brooch by Angeles Almuna Design, Chloe Lily bag, Steven Madden shoes and Chloe bracelet. The back of this dress is dramatic and so elegant! A touch of color... fuchsia pumps. love your dress! you look great. Great photos - and such a beautiful dress!